The San Diego Humane Society announced Monday it received a major donation to benefit a program that helps the needy keep their pets. SAN DIEGO (CNS) - The San Diego Humane Society announced Monday it received a major donation to benefit a program that helps the needy keep their pets. The five-figure gift to the society's PAWS San Diego program came from the Herbert & Judy Paige Family Foundation. The exact amount was not specified. "When we learned about the PAWS San Diego program, we knew instantly it was a great fit for the Paige Foundation," said Sunny Justice, foundation executive director. "PAWS San Diego beautifully bridges the gap between human services and animal welfare by keeping pets in loving homes with their owners." Brian Daugherty, senior vice president and chief philanthropy officer of the San Diego Humane Society, said the mission of the program is to help people keep their pets when they fall into tough times, rather than being forced to relinquish their pets to a shelter. 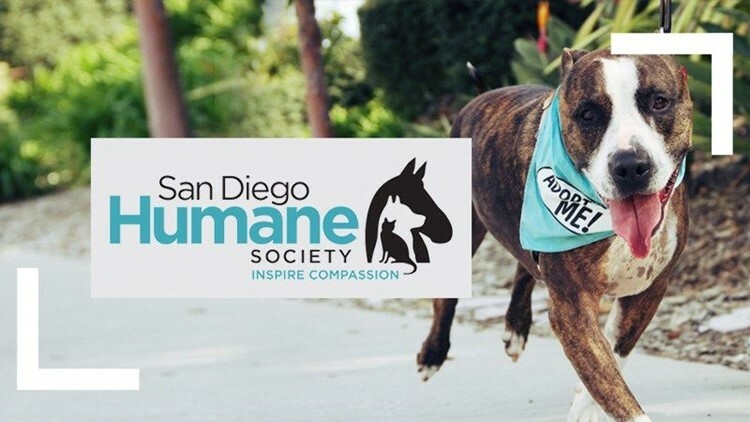 "Keeping pets in their homes allows San Diego Humane Society to save even more animals in our community and enhance our innovative programming that serves as a model for animal welfare organizations nationwide," Daugherty said. The Paiges, who lived in the Bird Rock section of La Jolla, set up their foundation to support programs for animals, seniors and education. Herbert Paige was an electronics executive, and his wife owned a company that supplied floral arrangements and plants for trade shows. They died within a couple of weeks of each other in 2011.